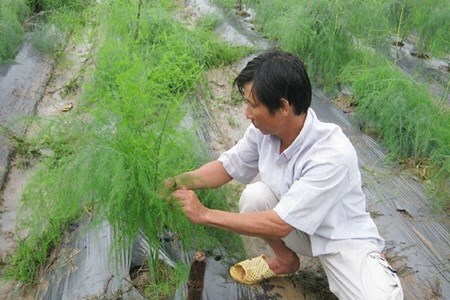 Farmers in Hanoi's suburban Phuc Tho District are making more money after turning to a new crop, asparagus. There are 4.7 ha of asparagus in the commune, providing about 100 kilos of asparagus daily. A kilo of asparagus can be sold for 50,000 VND – 70,000 VND (2.2-3.1 USD).